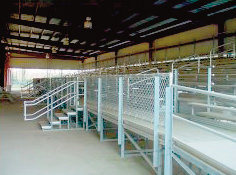 The Copiah County Fairgrounds offer a 150′ by 250′ covered arena with seating for 1000 people. There are permanent livestock holding pens, roping chutes, and bucking chutes under the covered arena. Also onsite, there is a 50 stall horse barn and livestock show arena and a full service Concession Stand. 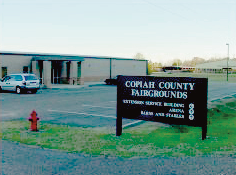 The Copiah Fairgrounds also offers a 4,347 square foot, 300 seating capacity, heated and cooled Multipurpose Building.